Our RSS or R-Ace-Ace feed allow you to see when the website has added new content. You can get the latest news and podcasts in one place, as soon as it’s published, without having to visit the website directly. Ace Of Jacks Entertainments & Media provides a RSS feed for both the desktop website as well as for our mobile site. 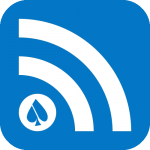 You can also access RSS feeds directly from pages on the site – the Blue RSS icon will appear when a feed is available.